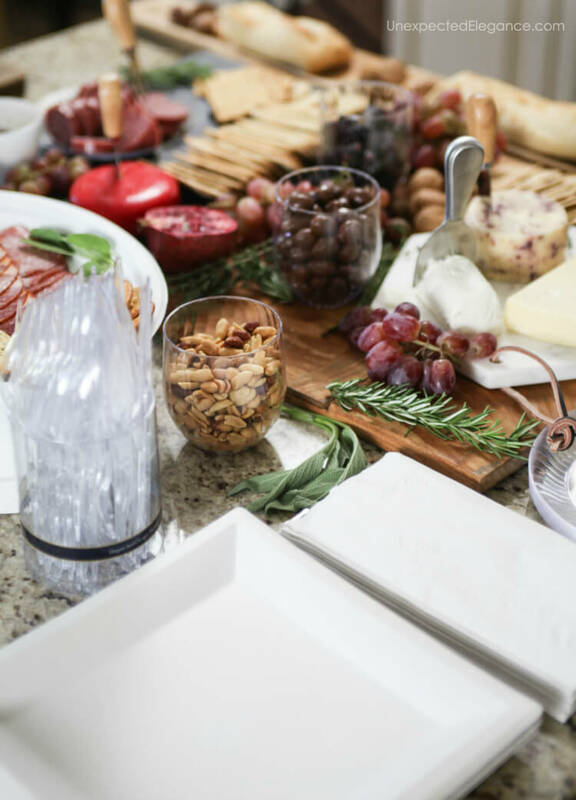 Do you want to host a cocktail party, but feel intimated by set-up and prep? Get some great Cocktail Party Hacks that make setup easy! LET’S HAVE A PARTY…It’s that time of year! 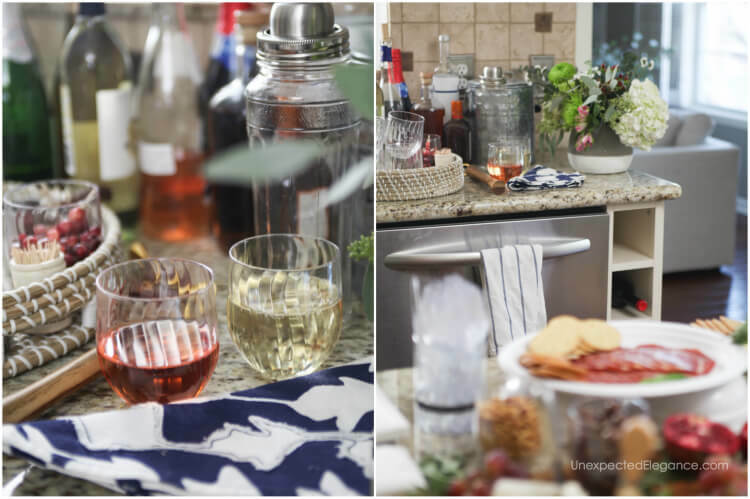 Gatherings are in full swing, but I don’t want you to get caught up in all the preparation and details, so I thought we could discuss a few party hacks. A few weeks ago I talked about the difference between hospitality and entertaining. If we are just entertaining, we are missing out on our chance to enjoy the time we have with our guests. The absolute best way to enjoy our own party is to plan ahead. It’s important to get as much accomplished before the day of the party. Take away the stress by not having to do everything in a few hours. This includes things like re-arranging furniture and grocery shopping a day or two beforehand. The biggest part of any party is the food and drinks. I like to set up different stations throughout my house. I keep the living room open with lots of seating and spread out tables in other rooms…appetizer table, dessert table and drink station. Spreading everything out will help with flow and ward off “traffic jams”. If you think disposable items won’t look good with your decor, you are wrong! Yes, not all disposable plates were created equally. 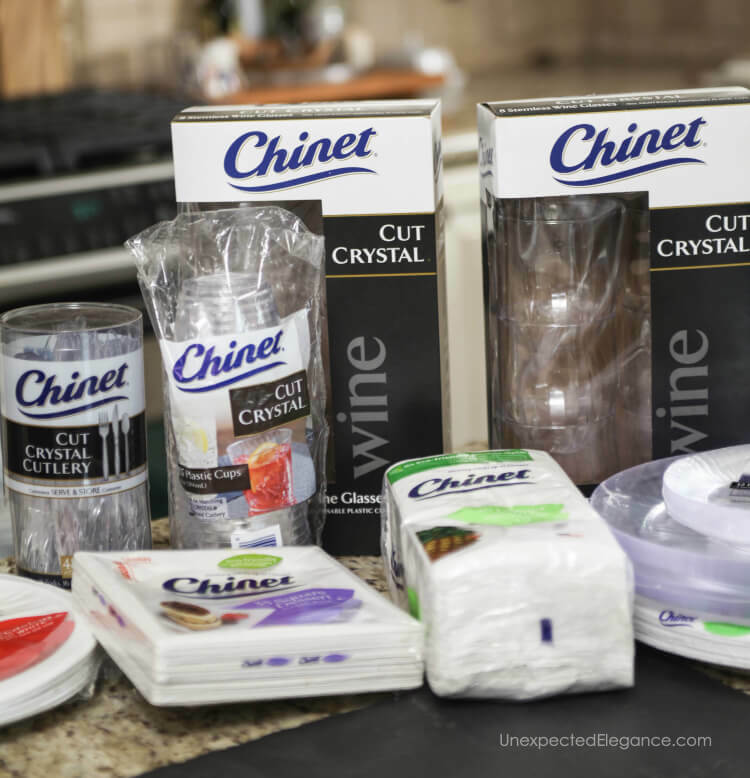 However, I love Chinet® Cut Crystal® products. You need a product that is sturdy! Chinet plates, cups, and cutlery offer premium strength so you don’t have to worry about spills and leaks. They are even cut resistant! The other benefit to using disposable plates and utensils is that everything coordinates easily. The Cut Crystal® clear design and elegant swirl pattern perfectly match any theme or décor and perfectly coordinate with one another. 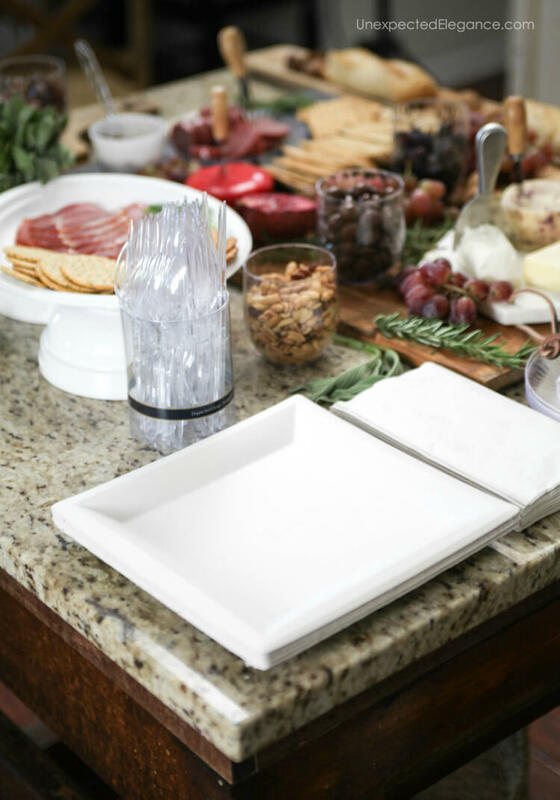 The cutlery comes in a “hostess-ready” container, perfect for easy serving and storage. It doesn’t get any better. The new stemless wine glass is the only premium disposable stemless wine glass widely available, and is great for more than just drinking! You can use them to display food too. 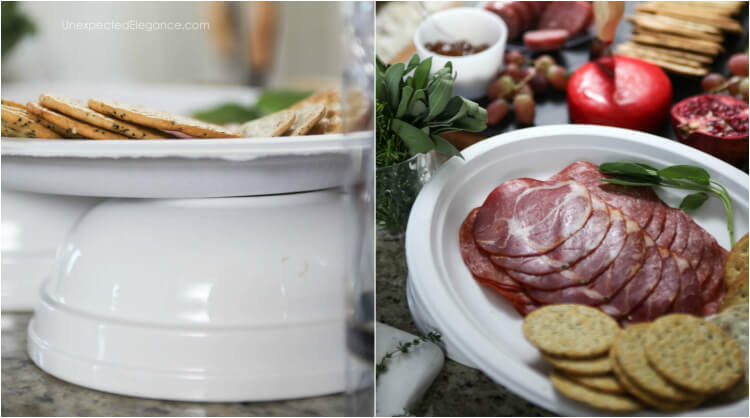 The Chinet brand makes entertaining easy, no matter the occasion. 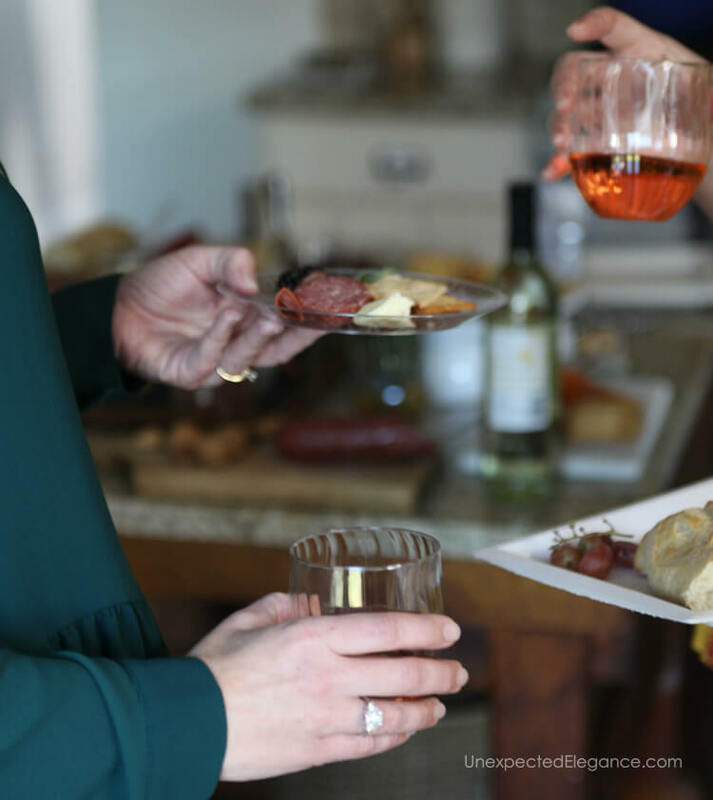 Their plates, platters, and napkins mean even you can spend time socializing instead of being stuck on cleanup duty. They are even made in the USA and recyclable. Click here to learn more . 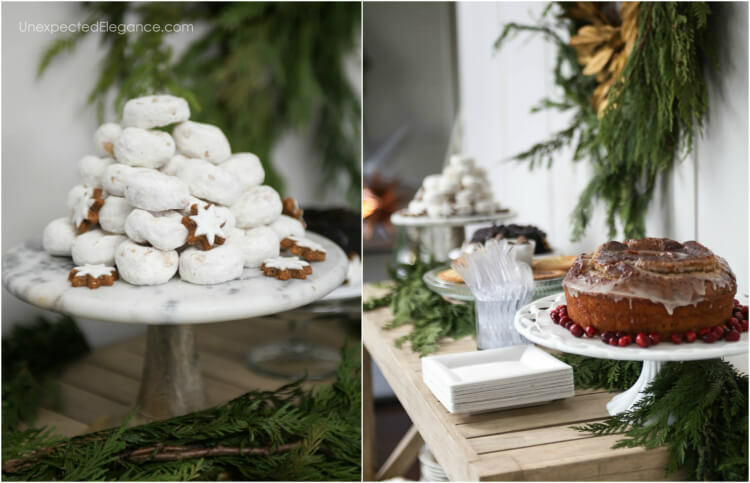 When thinking about setting out a buffet of food, consider how you are going to add dimension. Stack cake stands and add items (like bowls) under plates to raise dishes to different heights. Think outside the box! 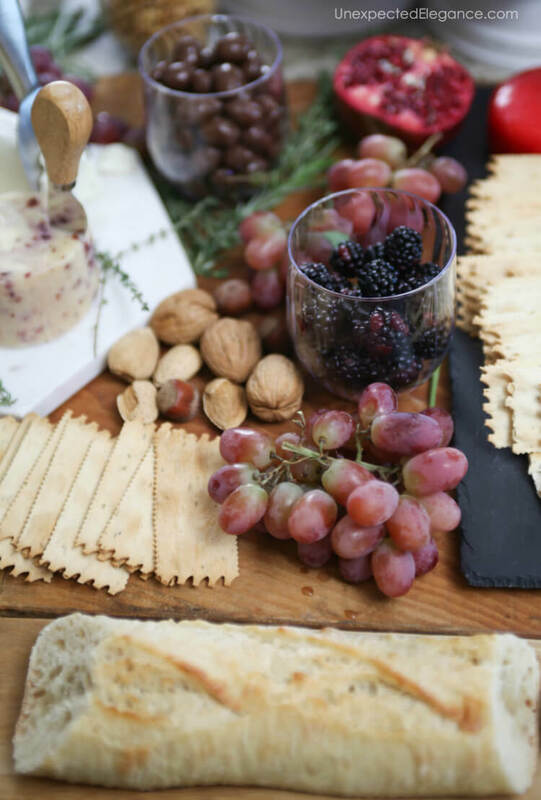 Your tablescape can set the mood of the party. Add little special touches, without spending a lot of time. Things like cranberries, coconut shavings, small cookies, and herbs are great to add to dishes. You don’t have to make everything from scratch. My biggest suggestion for any party is to purchase as many pre-made items as possible…then, embellish them! PLAN AHEAD…it’s always the best way! What are some things you do to make your parties run smoothly? 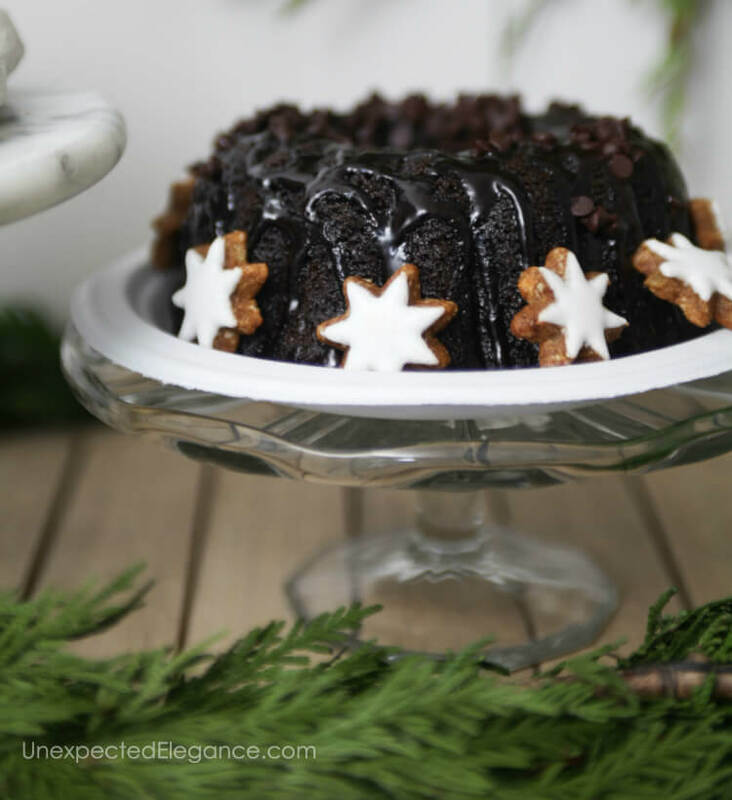 Get more tips for an easy and less stressful party here. 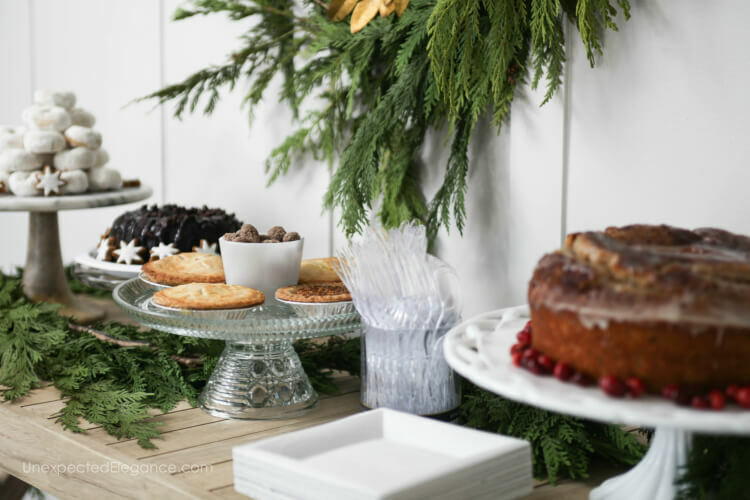 The Chinet website has tons of other inspired decoration, craft and recipe ideas to make your next gathering perfectly coordinated. Thank you for all these amazing, and helpful tips to have a successful party. Wow, I am excited! Thank you! Hope you have a happy New Year!